3X Pitching Velocity Development Kit with King of the Hill  - $97.00 : Baseball Video Store, Stream Videos NOW! Home :: Pitching Videos :: 3X Pitching Velocity Development Kit with "King of the Hill"
It doesn't get much better than this when it comes to the ultimate pitching velocity tool! The 3X Pitching Velocity Program and the "King of the Hill" Pitching Trainer have come together to take your fastball velocity to the Big League Level. Yes, you can expect to add up to 5mph or more on your fastball with this revolutionary pitching velocity program and pitching trainer. 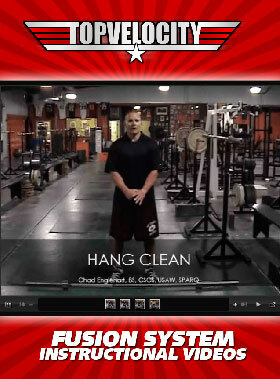 This 3X Program was developed specifically for the "King of the Hill" pitching trainer. It does not include the famous Olympic based strength and conditioning programs from the 3X Pitching Velocity Program but does come with a revolutionary set of pitching mechanics specific for the "King of the Hill" pitching training which will have a powerful effective on developing a more explosive lower half. Proper leg drive both increases velocity and decreases stress on the pitching arm. The King of the Hill 'Trainer' was designed to train pitchers to develop an awareness of their leg drive off of the mound and to gradually increase the leg drive toward home plate. When using the proper pitching techniques, the separation between upper and lower body increase, which in turn creates more elastic energy that is transferred through the core. This improves the upper body's ability to accelerate and rotate while creating faster arm speed and higher velocity at the release. The initial boost of energy from the legs will relieve the arm of having to produce as much velocity, and will reduce the stress on the pitching arm while increasing arm speed. 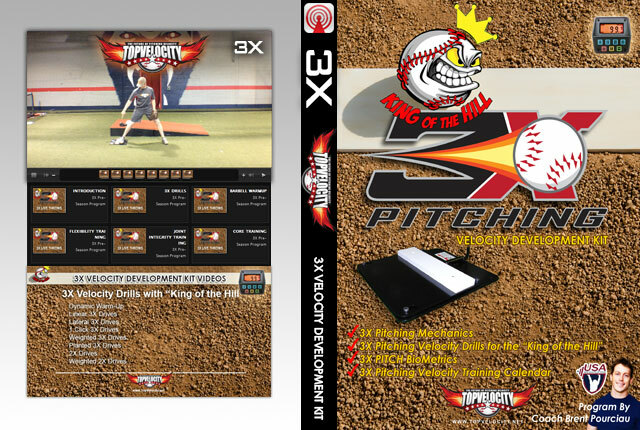 Notify me of updates to 3X Pitching Velocity Development Kit with "King of the Hill"